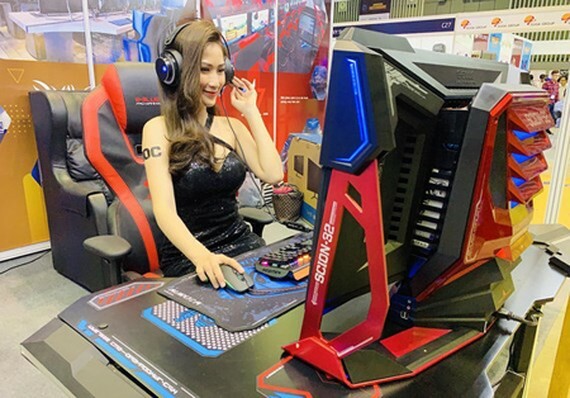 The 7th Vietnam International Broadcast & AV Show (VIBA Show) and Vietnam International Game & Content Showcase 2019 (GAMECON 2019) formally kicked off in the Saigon Exhibition and Convention Center (SECC, sited in District 7 of Ho Chi Minh City). The event lasts two days from April 3 to 4. VIBA Show 2019 is held by the Vietnam PAYTV Association. The booths of China and the Republic of Korea both introduce the latest technological trends and products to visitors. GAMECON 2019 welcomes the participation of giants in the fields of technological and electronic equipment like Samsung, Gigabyte, MSI, Thermaltake, Dreamer Land, and WD. In particular, Samsung Group, the main sponsor of this event, brings to the exhibition the most practical products and solutions in the audiovisual and television fields. This event follows the success of the VIBA Show 2018, held in Hanoi.